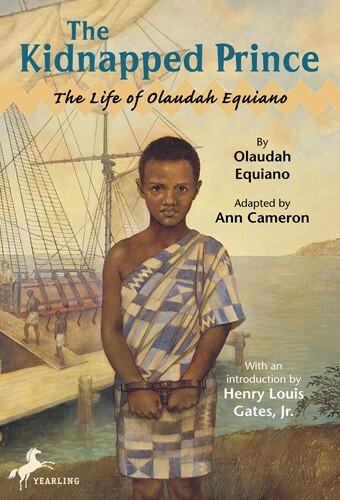 Kidnapped at the age of 11 from his home in Benin, Africa, Olaudah Equiano spent the next 11 years as a slave in England, the U.S., and the West Indies, until he was able to buy his freedom. His autobiography, published in 1789, was a bestseller in its own time. Cameron has modernized and shortened it while remaining true to the spirit of the original. It's a gripping story of adventure, betrayal, cruelty, and courage. In searing scenes, Equiano describes the savagery of his capture, the appalling conditions on the slave ship, the auction, and the forced labor. . . . Kids will read this young man's story on their own; it will also enrich curriculum units on history and on writing.